Metro Weather is a public-private partnership among the Metro Manila Development Authority (MMDA), Chevron, (and currently) Caltex, the Manila Observatory, Globe Telecom, and the Ateneo de Manila University that started in 2013. 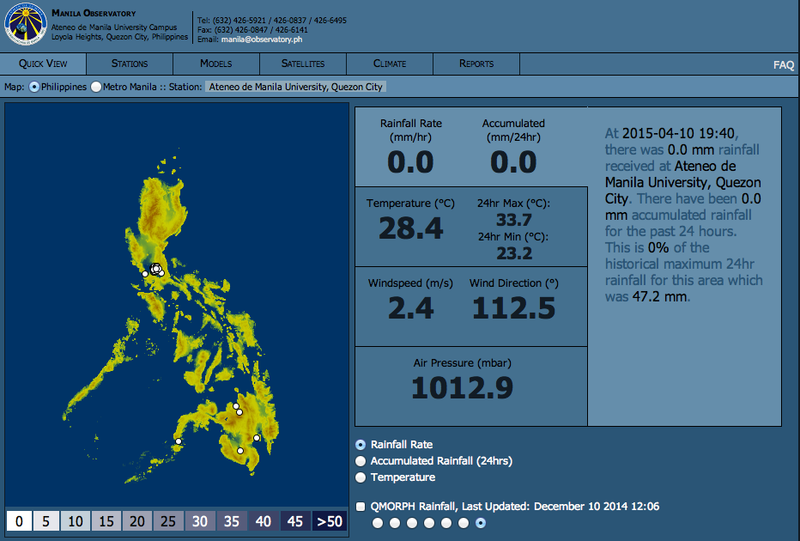 It establishes a network of low-cost automated weather stations (AWS) in Metro Manila. This network provides free and near real-time weather data that can be used to prepare for tropical cyclones and heavy flooding. The plan is to expand the project to other metropolis, such as Iloilo.